Peck's career in illustration began in the early 1900s with her work for publisher George W. Jacobs in Philadelphia, Pennsylvania. This was a period when technological innovations in halftone and color printing engendered the "Golden Age of Illustration".In addition to illustrations, Peck created decorations and lettering designs for books. Notable works from this period include illustrations for Sara Hawks Sterling's Shakespeare's Sweetheart (1905) and A Lady of King Arthur's Court (1907), and Josephine Daskam Bacon's In the Border Country (1909). Peck eventually illustrated at least four additional books by Bacon. By 1908, Peck had designed her first cover for Collier's. 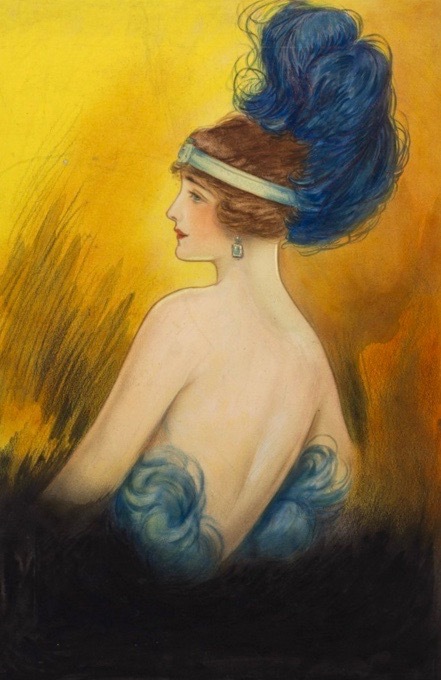 Peck began illustrating women's magazinesduring the 1910s and 1920s, contributing to Cosmopolitan, Good Housekeeping, Ladies Home Journal, Today's Housewife, and Household Magazine. Peck's magazine illustrations appeared inSt. Nicholas Magazine, The Century Magazine, The Delineator, the Pictorial Review, and the The Youth's Companion. 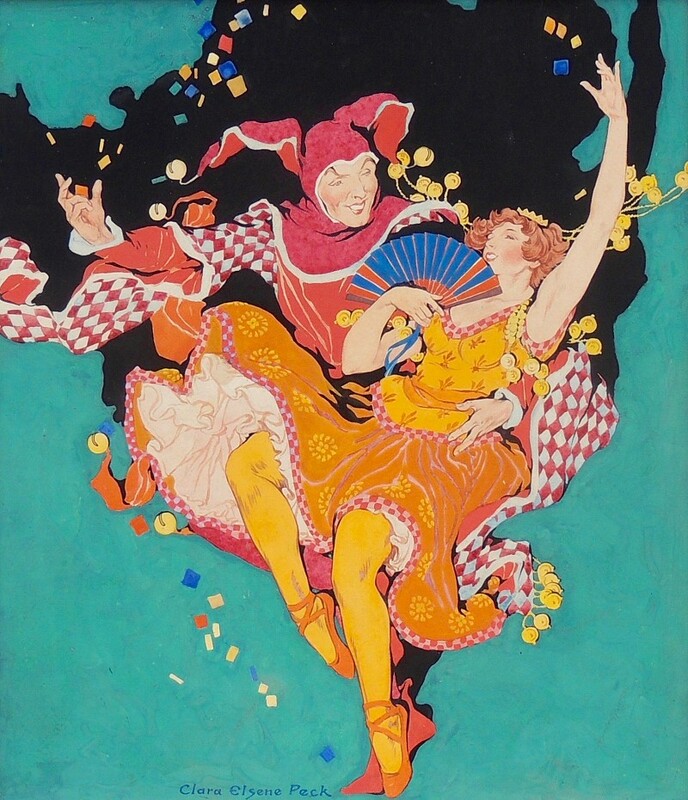 She contributed several cover illustrations to Theatre Magazine in the early 1920s and worked as a commercial artist on advertising campaigns for companies such as Procter & Gamble, Metropolitan Life, the Aeolian Company, and Ivory Soap. Peck also illustrated educational books, educational certificates, sheet music, fiction, and fairy tales. Women and children in Peck's work were depicted with great sensitivity in a wide variety of roles and responsibilities. Art historian and illustrator Walt Reed describes Peck's style as "decorative in composition and sensitive in rendering". Artistic themes found in Peck's work include education, child psychology, and the expectant mother. 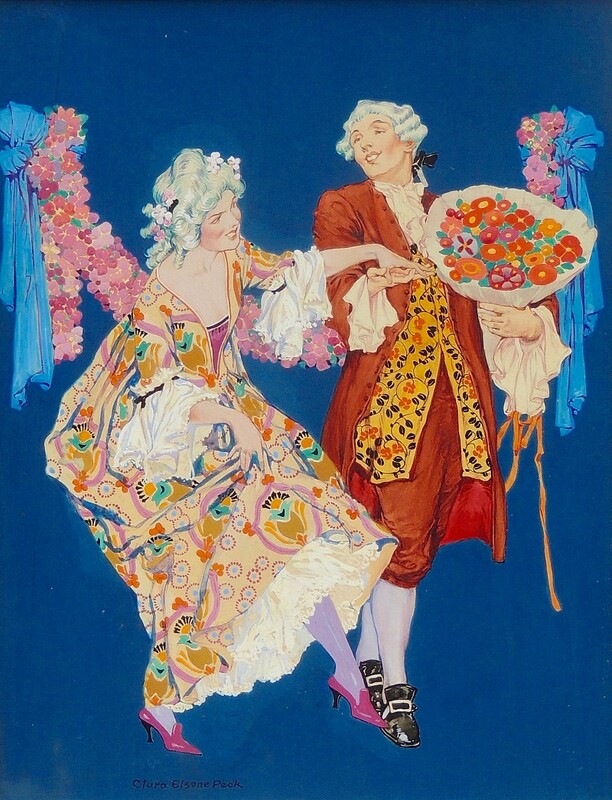 The decorative style of the period was popularized by seminal American illustrator Howard Pyle and his female students. According to Elizabeth H. Hawkes, curator emeritus of the Delaware Art Museum, the style consisted of "using flat, brightly colored figures boldly outlined and placed against a patterned background. They incorporated elements of the popular 1890's poster style and borrowed motifs from Walter Crane, Kate Greenaway, and the English Arts and Crafts movement style of illustration." Peck's career in illustration was active from the "Golden Age of American Illustration" through the onset of the Great Depressionwhen the careers of illustrators suffered due to the poor economy. The output of magazine illustrations from Peck continued until at least 1935. Peck was a member of several art associations, including the American Watercolor Society (1931–1967), the National Association of Women Painters and Sculptors, National Association of Women Artists, the New York Watercolor Society and theSociety of Illustrators. Along with Florence Scovel Shinn, Rose O'Neill and others, Peck was one of the first 20 women to become a member of the Society of Illustrators by 1922, representing about 10% of the total membership. In 1913, Peck's work was featured in exhibitions at the Art Institute of Chicago and the Pennsylvania Academy of Fine Arts, and at the National Association of Women Artists and the New York Association of Women Painters and Sculptors where she won awards in 1920 and 1921. Posthumously, Peck's works were featured in the seminal 1976 New York exhibition, 200 Years of American Illustration;In 1985 at the America's Great Women Illustrators 1850-1950 exhibition in New York; And, in 1986, at the American Illustration 1890-1925 exhibition held in Calgary.